MIRPUR (AJK) : Federal minister for Kashmir Affairs and Gilgit / Baltistan Ali Amin Gandapur disclosed here on Thursday that a grand Rs. 5 billion relief package was being launched under the forthcoming Public Sector Development Programme (PSDP) of the government of Pakistan for the safety, security and rehabilitation of the population living along the Line of Control (LoC) in Azad Jammu & Kashmir. Addressing the city elite including the party (PTI AJK) activists at the residence of PTI AJK Chief and former Prime Minister Barrister Sultan Mahmood here, the minister revealed that AJK was also being given preference in the gigantic project of construction of 5 million houses for the shelterless in the country. He said AJK was also being included in mega 10 billion tree plantation project. The minister also said that government of Pakistan was also allocating Rs. Two billion as special package to improve health and education facilities for the people across AJK. 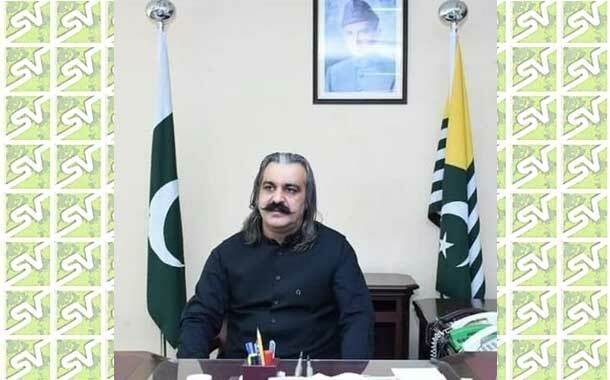 Gandapur said that the federal government also intend to improve the policing system in AJK at the pattern of KPK – harmonious to the need of latest era, to ensure more better facilities for the safety of life and property of the masses. The minister said that the image of Pakistan has raised to highest extent ever since the arrival of PTI government under the dynamic leadership of Prime Minister Imran Khan. “Entire world lderahsip was fully satisfied of the popularly-elected PTI-led government in the country”, he added.